8:30 AM – 11:30 AM: Our famous ‘baked on the griddle’ Pancake breakfast, served with coffee or juice for just $5.00. 10:00 am - 12:30 pm: Equestrian entertainment featuring the Ellensburg Rodeo Court, Seattle Knights (jousting and stage combat), Driving Mini Drill Team, Mounted Archery Team, Freestyle Dressage, and much more. Final schedule and participants TBA. 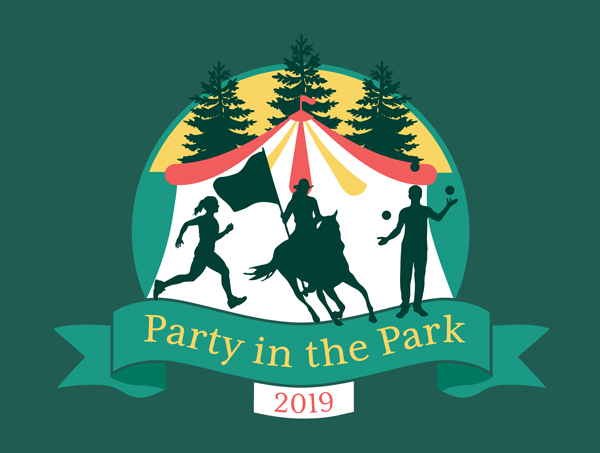 9:30 AM - 12:00 PM: Pony rides, face painters, balloon animals, hula hoop fun, Karelian bear dog, donkey dash, kid crafts, snow cones, cotton candy, and a petting zoo. There is a suggested donation of $5.00 for pony rides, thank you! 10:00 AM - 12:00 PM: After your breakfast, kid crafts, face painting and pony rides, grab your family and friends for a short hike on one of our 28 miles of trails, the Raven trail. Participants who complete the interpretive hike will be entered in to one of three $100 REI gift card drawings. Winners will be notified via email. 7:30 AM - Race registration & packet pickup open. Credit Card, cash, or check accepted. June 8th at midnight. Extras may be available on a first come, first served basis on event day. gravel trails in the park. The ground is often uneven, hilly in places and riddled with tree roots. of others, please start in the back of the pack if you plan on bringing a stroller. Due to the expected attendance and need for horse trailer parking, there will be limited parking in the main lot. It will be restricted to disabled parking for those displaying a state-issued handicapped placard and event-support vehicles only. Attendees will need to park at the Central Park Tennis Club on the north end of the park. The entrance to the Central Park Tennis Club parking lot is across the street from Ben Franklin Elementary School at 124324 NE 60th Street, Kirkland. There will be shuttle service between the Central Park Tennis Club and the event. Since the park is only a few minutes from this parking lot, the shuttle will be making trips every 10 minutes from 7:30 am to 1:00 pm. Please consider using this FREE service! VOLUNTEER OPPORTUNITIES - WE NEED YOU! SIGN UP HERE. 2019 EVENT SPONSORSHIP OPPORTUNITIES HERE.